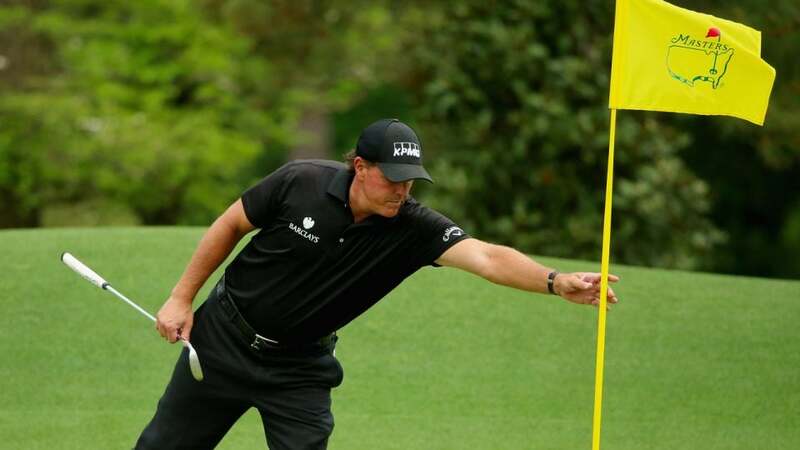 Phil Mickelson tends a flagstick during the final round of the 2015 Masters. Every week GOLF senior writer Michael Bamberger identifies — and ranks — the absolute, undeniably, very best things in golf right now. This week's he talks about rumors involving a local flagstick rule at the Masters, Matt Kuchar and "Tucangate", a morning spent with Greg Norman and much more. I spent a morning with Greg Norman the other day and for some reason we started talking about grandfathers. He told me about his father's father, an Australian carpenter, a tough man who lived in the country, in Ayr, a sugar-cane town. "He had this beautiful mango tree and it had like 50,000 mangoes on it. My sister and I would go running to it but we weren't allowed to eat the mangoes." It was striking to hear because now, of course, the child gets what the child wants. The first of Norman's two British Open wins came in 1986, at Turnberry, on Scotland's west coast, in South Ayrshire. Lucy Li is a charming, talented and intelligent 16-year-old amateur golfer who put her amateur status in jeopardy by appearing in an appealing 15-second ad for Apple watches that makes the watch, Lucy and the game she plays looks cool. It was a clear violation of the USGA's amateur-status rules. But now comes the hard part, for the USGA to convince the Li family to acknowledge it was a mistake to do the spot and have Lucy apply to regain her amateur status. Anything other than that challenges the USGA at a time when its authority is already under challenge, and that is not serving the game well. If the Li family has the Apple marketing department whispering in its other ear, it won't be a fair fight. At the Curtis Cup in June, Lucy gave me a brief tour of her Apple watch, how it could tell wind direction and speed and provide other information that made it illegal to wear while playing in a USGA competition. But she wore it while practicing, with pride. Matt Kuchar does not enjoy a reputation on Tour for being generous when it comes to paying caddies. But he is affable, respectful, playful with them, and that counts for something, too. He is not what the caddies call "a caddie-hater." What he paid his fill-in Mexican caddie, David Giral Ortiz, aka El Tucan, after winning in Mexico last year is Kuchar's business, and Ortiz's. Kuchar won $1.3 million at Mayakoba. He told reporters that he paid his caddie more than $3,000 and less than $100,000. #AskAlan: What would you pay an amateur caddie if you won a PGA event? Ortiz was not a kid skipping high school. He's a 40-year-old married man with children who takes a bus to the golf course and who worked a loop on the Monday after his win with Kuchar. It's easy to spend other people's money, but my suggestion to Kuchar is to send another check. In the long run, it will come back to you. Matt Kuchar with his caddie that week, David Giral "El Tucan" Ortiz , at the 2018 Mayakoba Golf Classic. The leader in the clubhouse is Dustin Johnson, talking to reporters in a roughly 10-minute pre-game session in Abu Dhabi this week. He opened by noting, "Obviously I've been here the last three years," then went for the adverb nine more times before he was done. The LPGA event in Orlando, by far. The old Bob Hope/George Lopez/Bill Clinton Palm Springs pro-am event is now the Desert Classic, and the sparkle is gone. The LPGA's Diamond Resorts Tournament of Champions features LPGA stars: Stacy Lewis, Lexi Thompson, Lydia Ko, Brooke Henderson, Nelly Korda, Cristie Kerr, Ariya Jutanugarn. And amateurs you've heard of: Greg Maddux and John Smoltz. Joe Theismann and Mark Rypien. Jack Wagner and Toby Keith. Plus, as he is listed on the tee sheet, Larry the Cable Guy, paired with Brittany Lincicome. Somewhere in the deep state golfheads have been talking recently about the prospect of the Augusta National overlords requiring the flagstick to still come out while putting during the Masters. Two quick thoughts. It could happen. Any tournament organizer or sponsor has the prerogative to create a local rule for its event. But it would never happen. Augusta National would never do anything to challenge the authority of the USGA. It would be violating the spirit of its co-founder, Bobby Jones, the organization's most revered figure. That's why there will never be an Augusta-issued golf ball at the Masters, even though it would be great for the game if there was one.